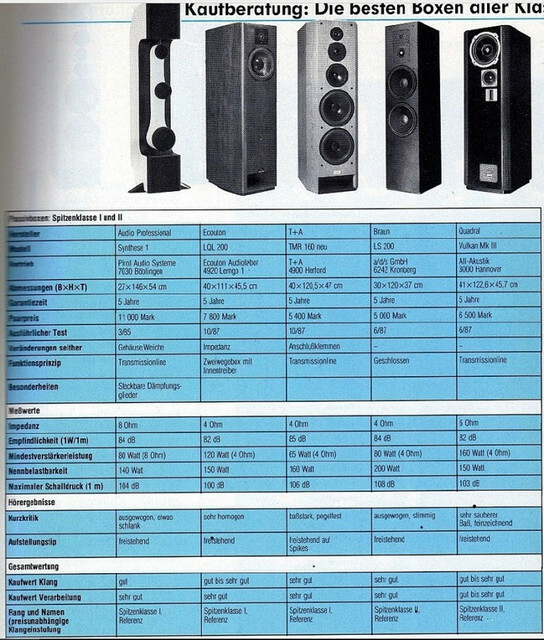 Since a month i have also a pair of Synthese 2 speakers from 1988 from the Belgian speaker builder Ivan Schellekens, who designed them in the early 1980's and i must say, they sound awesome. The woofer is a 8 inch Vifa type, midrange is the famous Seas MC11fc (H143) and the tweeter is also from Seas, type H107. The cross over is very nice design and the sound can be changed a bit due to 4 different acoustical cards witch are easily swapped into the cross over. 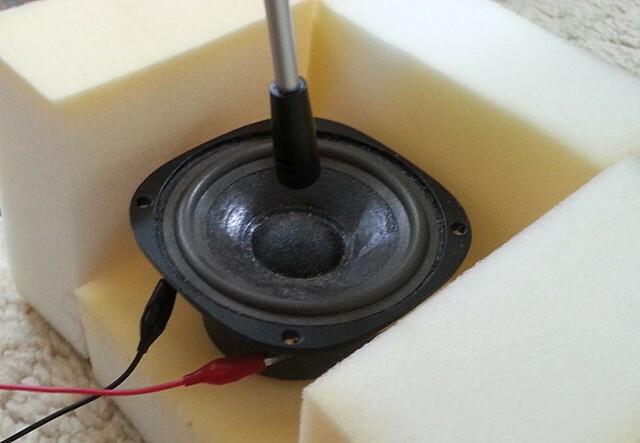 The tweeter and midrange are totally disconnected from the bass section and have their own housing with almost no baffle. They go very low, due to their transmission design. They sound very spacious, i think they are the most spacious speakers i've owned. At the time there where 3 models, called: 1, 2 and 3. Synthese 1 was the biggest (deepest bass from 16 hz!) and so on. 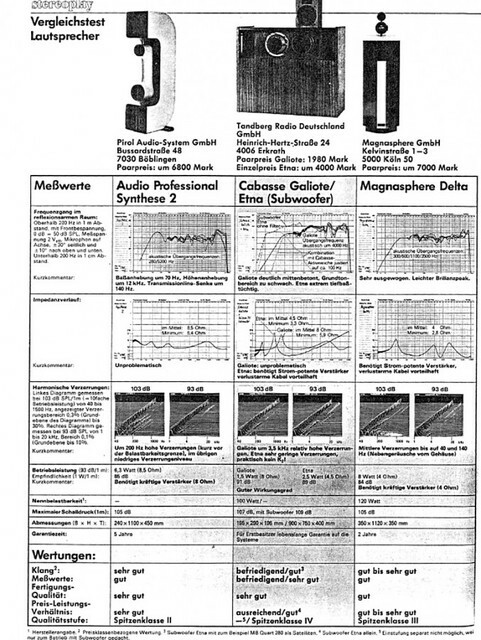 The Synthese 2 is still in production but the real succes period of this product was in the mid 80's till mid 90's. The price was about 3500 euro's a pair back in 1985, now the MK2 version is almost 10.000 euro, whitch i think is too mutch. I had to replace the midranges because they had a 3db difference because someone in the past had tried to repair them, witch was a failure. In comparison with my Kef 105.4, the Synthese sounds more open and the bass is deeper than with the Kef. Still the Kef is also a very good speaker. Both models are topnotch speakers. The Synthese and the Kef 105.4 together. The smaller Synthese 3 and bigger 1. The 1 is the biggest of the range. Very interesting design. 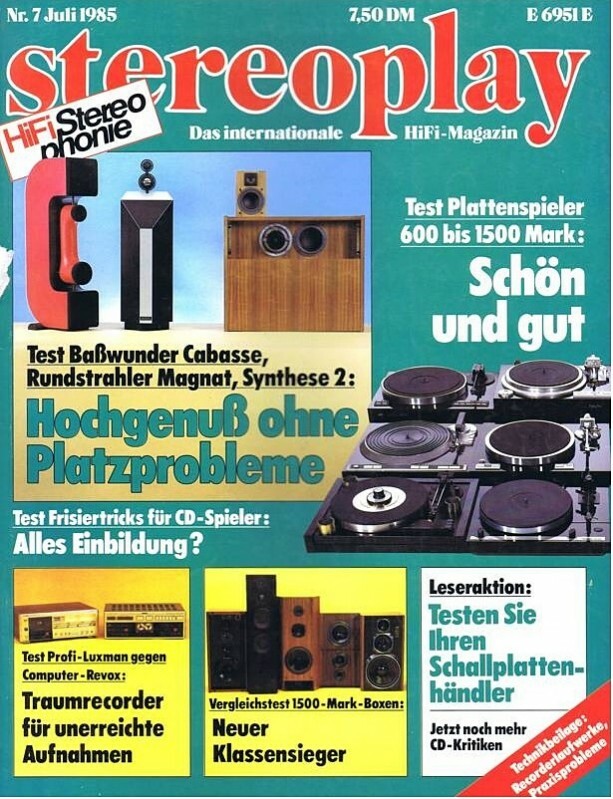 It would seem to confirm that box colouration is a major factor in loudspeaker performance. 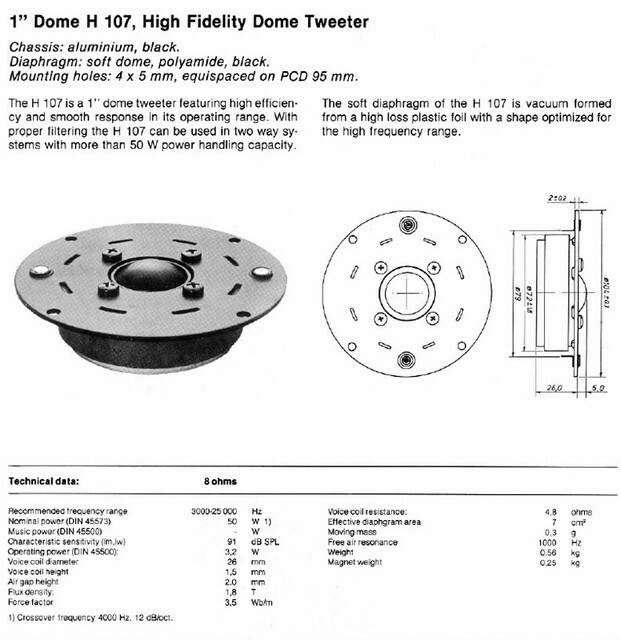 I forgot to mention that the 'pillar' where the tweeter and midrange are housed is made from a heavy composite material and is completely dead. More than 10 years later B&W also used this kind of material in their nautilus (800-801-802) designs. 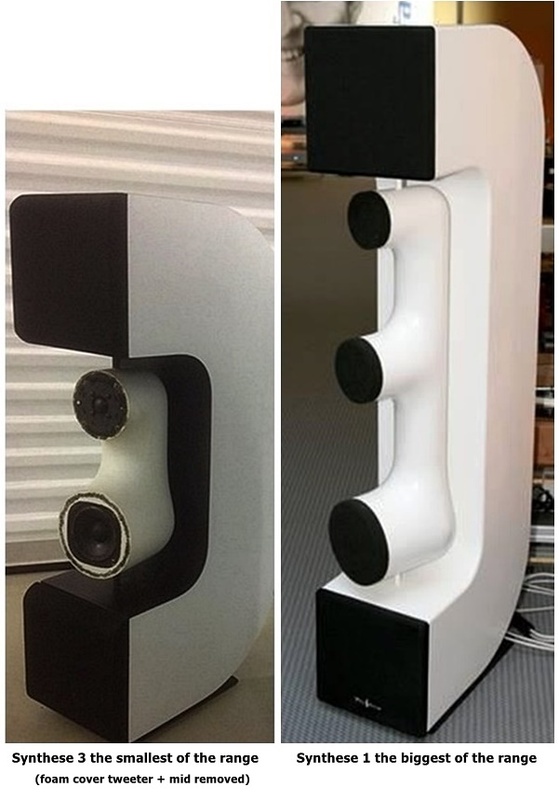 Past week i have visited a fellow music lover who has the bigger an top model of the range, the Synthese 1 speakers and have not 1 but 2 pairs of them. Strange thing is that they are not 100% the same. Crossover is different, and also the damping materials. 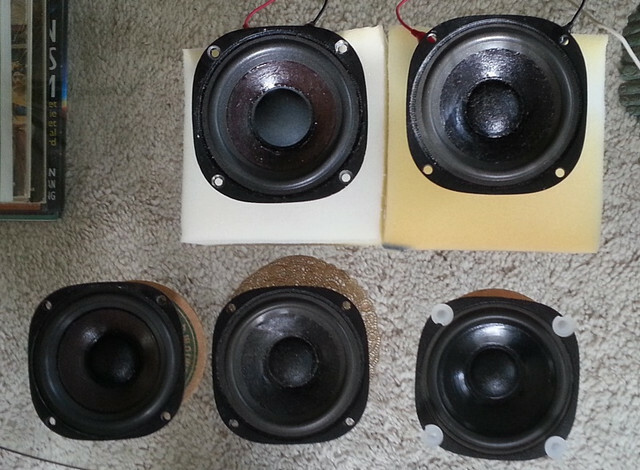 We also have measured 5 Seas MCA 11 speakers and they all difference a bit. One speaker a lot, deu to a repair on the voice coil. We could play loud because this man has no direct neightbours. He has almost the same amp as i have, he has the newer Accuphase E408 with the DP77 sacd player. His sound is best descripted as a 'life' sound. His big house with the 4 speakers Synthese 1 and back in the corners behind the Syntheses a set of Kef self build speakers with the B300 in it (red boxes). 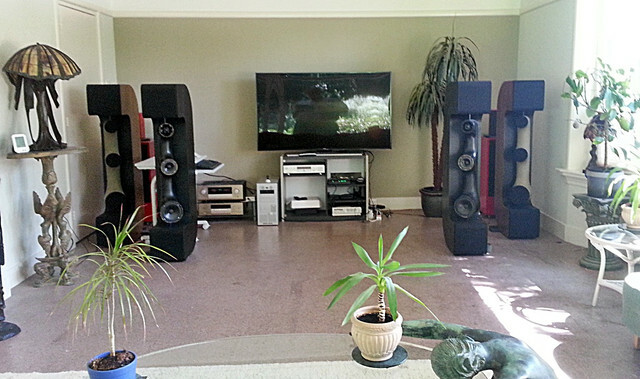 Five Seas MCA 11fc speakers, one has a failure. The simple way we have tested them. 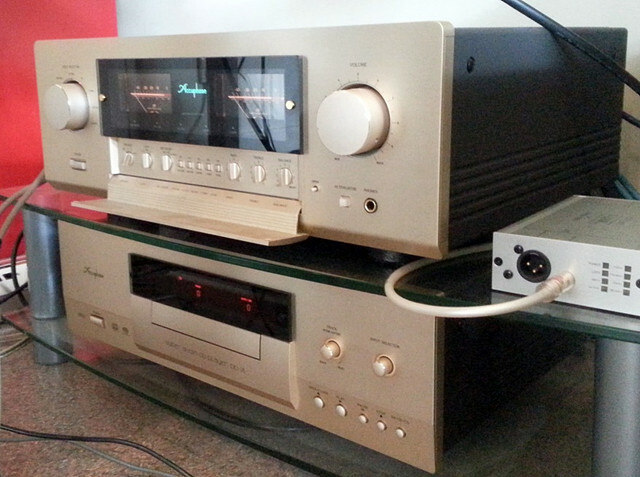 His amp-sacd player set, very stable amp with lot's of power. Interesting, I've never seen these speakers before. A question please, where does the transmision line end, is the crossover effectively in the port? Also how long is the line, presumably the internals have a couple of partitions? Otherwise hollow just from top to bottom it would more like a reflex? 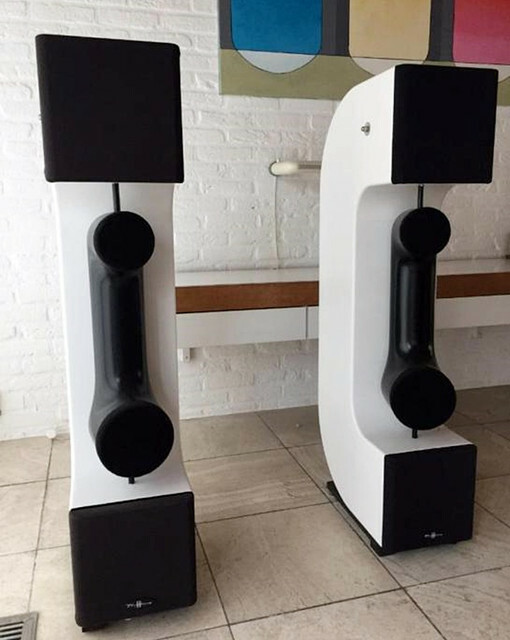 These speakers where a hit in the Netherlands, Belgium and Germany in the 1980's and 90's. I have never seen them in an American or English magazine. The transmission line ends at the bottom, the same place where the cross over is housed. The Synthese 2 is about 110 cm high, the Synthese 1 is bigger and has a height more than 140 cm. 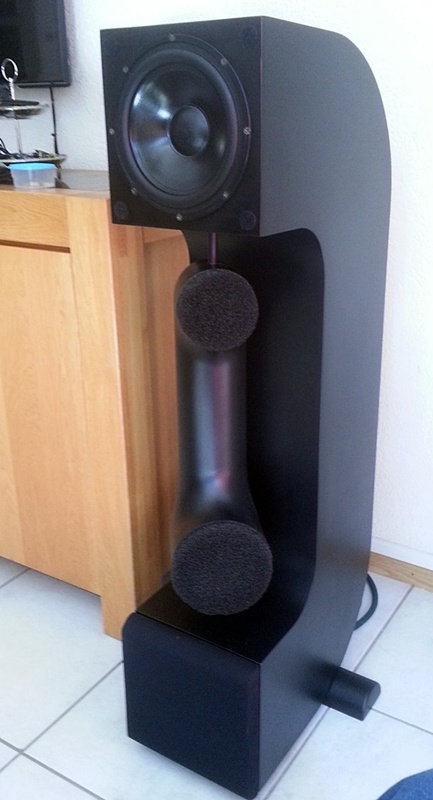 The bas speaker in the Synthse1 is a 25 cm one from vifa. the ones in the S2 and 3 are the same 20 cm vifa unit. Because the 1 has a longer transmission line it goes deeper to about 16 hz. The Synthese 2, reaches 25 hertz, the 3 something of 40 hertz. They sound is very good, but the 1 needs a bigger room. As far as i know, the transmission line is only the telephone shaped cabinet. It runs from top to bottom and is heavy damped, when you listen to the bottom opening, it's almost completely quiet. The 3 i have never heard, it uses the same drivers as the 2, but the 3 is smaller and reaches less deep, around 40 hz. 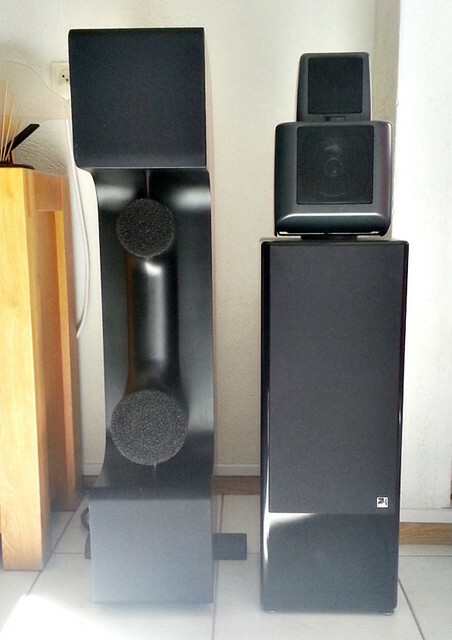 Review Synthese 1 (biggest 4 way) with other speakers. Thanks. I must say I find it rather curious that even that large cabinet (without partitions to extend the line to 1/4 frequency) with an 8in unit could go flat to 16Hz, it would seem to defy the laws of physics - unless that very large hump below 100Hz in the plot brings up the low frequencies almost to the mid range levels. If we call the line 160cm to cater for the bends, the cut-off frequency would be 54 Hz. If we assume one partition would increase the line to say 240cm (because you would still need space behind the driver) the cutoff would still be around 36Hz. If we assume a heavily damped tube can reduce the back pressure speed by a typical 30%, this could make the single pipe cutoff at around 37 Hz, if we put a partition in, maybe around 25 Hz, so it is possible though it is dubious whether the damping works as well as theory. Interesting though. I do not really know mutch how this works, but i do know that the developer, mr Schellekens, has experimented mutch before he was satified. Indeed the damping does mutch of the trick. 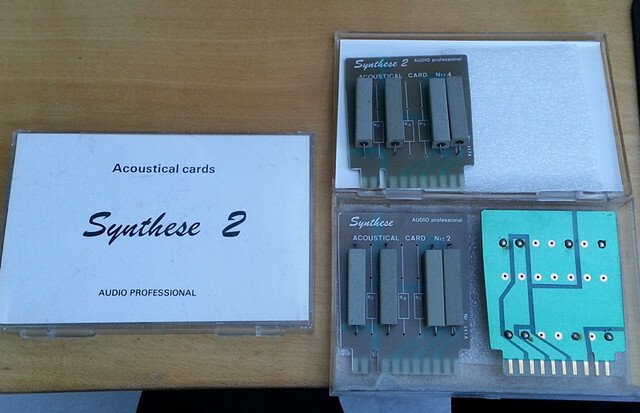 Here is a part of an Dutch test of the Synthese 2 mk2 which is still available. Difference between the older mk1 (my model) and the mk2 are other drivers, biwire at the mk2, and a more beautiful made cabinet. This article was translated from Dutch. •This is indeed a really very musical and well balanced loudspeaker. And, for as far as the placing and the setting of the stereo image go, it's one without an equal. •In addition it has the advantage of being a rather easy loudspeaker. Compared to many other loudspeakers it integrates better in a variety of rooms, this thanks to the "acoustic cards". •As always, a listening session is recommended for those interested. 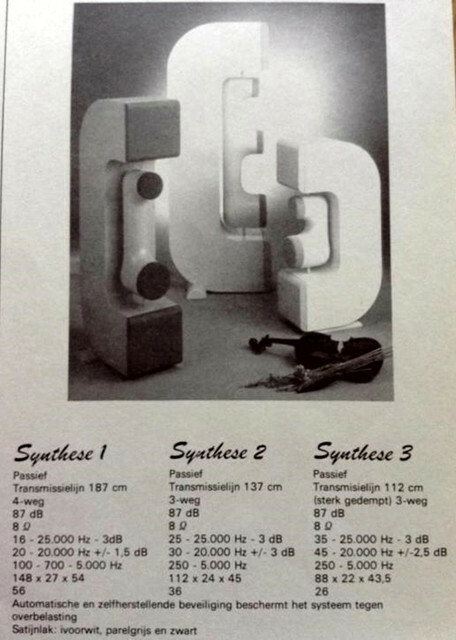 The Synthese 1, 2 and 3 in the brochure of Audio Professional. And another set of Synthese 2, this is the MK 2 version with rounded edges and other speakers in the housing. The Seas tweeter that is in all 3 models of the mk1 version is the Seas H107. Later mk 2 version of the Synthese 1 and 2 have other tweeter, i don't know whitch model. 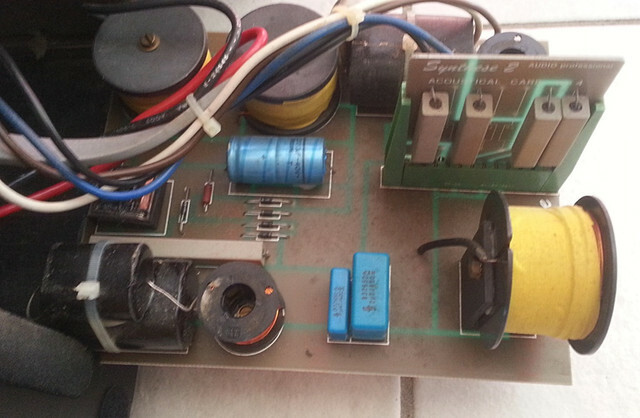 Used in a lot of speakers, it was a populair tweeter in the 70's and 80's.